This is the first post on our first site, and we’re pretty excited to kick things off. You probably haven’t heard about us so here’s a quick introduction. Appivo is a new solution that enables non-developers to build applications, no code required. We’re getting pretty close to opening up a Beta period so if you’re interested, you can sign up to stay informed. If you’re skeptical, well, that’s good. Turns out it’s a lot harder than we initially thought. Despite the challenge, caffeine, determination, innovation and more caffeine have allowed us to make good progress and we are currently working with some great customers like the ones below. Let us know if you’re interested in bu:sy and one of us will be in touch. The bu:sy application was built with the Appivo Application Builder and runs on the Appivo Platform. There’s a saying that talks about eating your own dog food but I prefer to say that we drink our own champagne. Tastes much better. The Appivo Platform is the behind-the-scenes system that just works, like every cloud service should, to ensure that applications are always available to any net-connected browser or device. 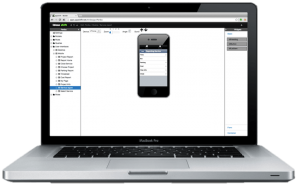 The Appivo App Builder is the intuitive point-and-click interface that is used to create, update and maintain applications. That’s it for a quick intro. We’ve just fired up the blogging/posting/tweeting engine so follow us and you’ll be sure to hear more soon. Or contact us if you have any questions. Also, because it’s Friday, I thought I’d share this very important infographic.